Vile robbers attacked an 88-year-old man before stealing money and jewellery from his home. At about 4.30pm on Tuesday, four men entered the conservatory of a house in Edgcott, while two residents were at home. One of the victims, an 88-year-old man, was threatened by the offenders and pushed. He sustained injuries and was taken to hospital for treatment. The offenders searched the rest of the property before leaving through the front door. Items taken include the victim’s wallet containing a quantity of cash, a gold sovereign on a chain and a gold Rotary men’s watch. One of the offenders is white, 5ft 9ins tall, in his early to mid thirties and well built. He was clean shaven, with short brown hair. He was wearing a light coloured, long-sleeve top and grey trousers. There is no description available of the other three offenders, but a silver or grey coloured car was seen repeatedly passing the premises in advance of the incident. A 23-year-old man from Bicester has been arrested on suspicion of burglary as part of the ongoing investigation and bailed until June 20. 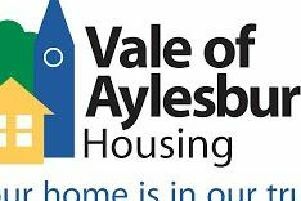 Investigating officer, DC Carolyn Bailey from Local CID at Aylesbury police station said; “Incidents like this are rare but clearly very distressing for the victims. We are extremely keen to hear from anyone who may have seen a man matching the given description, to get in touch. “Any detail could be important; if you’ve not already spoken to police and you saw individuals acting suspiciously or vehicles that were out of the ordinary in the area at about this time, please ring 101. If you don’t want to speak directly to the police you can contact the independent charity Crimestoppers anonymously on 0800 555 111.